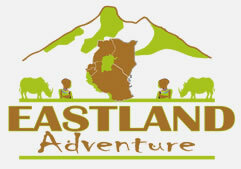 Eastland adventures is private company owned and run by certified and licensed Kilimanjaro and Safaris guides under managerial of Daniel Pallangyo. We are incorporated by the register of companies and member of Tourist association in Tanzania to take you and guide you to all destinations within the country. We are expert and experienced in organizing Mountain trekking, Beach holiday, Cultural Excursions and Safaris in Tanzania. When you pick us to be your main host in Tanzania expects unimaginable service and your safety is our key priority. We are professional, qualified, licensed and certified tour guides who know our country in all aspects and we want to be your partner for exploring the Tanzania culture and nature. Our goal is to provide unforgettable experience, successful and safe tours to Mount Kilimanjaro, Mount Meru, National Park Safaris and visits to Cities outside the classic tourism areas. We want to share the African experience and bring you in contact with local life and customs by surprise introduce to you people you would never meet and know on your own. We give you a fascinating insight into the local traditions and customs and bring history to life. Eastland adventures lets you explore the potential of what Tanzania holds in terms of tourist attractions and why it’s known as the Mother of tourist destination and attraction in Africa. Once you plan your trips with us your contacting guides directly and not with managers. – Tours to Lake Victoria and Lake Tanganyika far away from the developed tourist areas. We are represented on safaribookings.com the largest online marketplace for African Safari holidays.